Click on the name of each board member below for their biography. 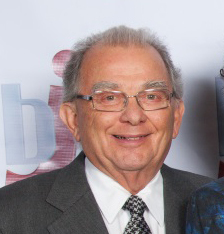 Throughout a lifetime involvement in Jewish communal activities, Herb’s primary focus has been in the area of Jewish education, both on a synagogue and community level. 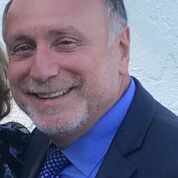 Since 1962, he has dedicated both time and resources to Jewish education in Los Angeles as Chair of BJE for four years and as a past president of Los Angeles Hebrew High School. 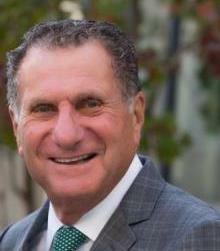 Herb’s ability to address the interests and needs of the diverse populations that make up Jewish L.A. led to his serving on the Jewish Federation Planning and Allocation Committee and as Chair of the Refugee Resettlement Committee, as well as being a valued member of the Executive Committee of Federation. The skills that made him successful in these endeavors were transferred from his business expertise. Earning a degree in electrical engineering from NYU, Herb worked in the space program and in management of the aeronautics industry. Herb retired from Litton/Northrop after thirty years, having held positions such as Vice President of Engineering, Vice President of Product Support and Assurance and Vice President of Total Quality. Herb spent 59 wonderful years with his wife, Sonia, of blessed memory. She too contributed to the community as a volunteer Braille transcriber and as a patron of the arts. Together they sent a powerful message of the importance of education, of responsibility to the community and of Jewish identity to their three daughters, twelve grandchildren, and (to date) twelve great-grandchildren, nine of whom live in Jerusalem. Their impact has been profound and many of the children and grandchildren have themselves chosen paths in various aspects of education and Jewish communal work. Michael, an attorney, and his wife Brenda Fabe, a retired physician, have two adult children—Jeremy and Rachel. A resident of Studio City, Michael has served on the boards of Adat Ari El, Camp Ramah, and the Sherman Oaks Burn Center. Born in San Francisco, Michael’s Jewish educational experiences growing up included Camp Ramah, Hebrew University and travel and study in Israel. Michael and Brenda were participants on the BJE Adult March of the Living trip in 2012. They are supporters of the IDC in Israel as well. Kathi lives in Beverlywood but dreams about spending more time in Israel. She is married to Gary Hiller and they have three children: Yonah, Micah and Maital. Kathi and Gary met when they both worked for AIPAC in Washington, DC after college. Kathi graduated from UC Berkeley with a BA in Cultural Anthropology. She also attended Hebrew University, Jerusalem and Pardes Institute, Jerusalem. Kathi participates in BJE as a member of the Board Member Education and Engagement Committee. Several years ago she was part of the Educational Services Committee that evaluated how well BJE programs fit the organization’s mission. 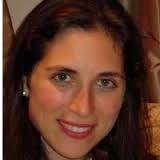 She has served as the Director of Development and the Admissions Director at Maimonides Academy where she also was co-PTA President. 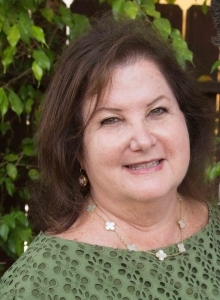 Kathi’s other involvements include Young Israel of Century City, where she currently serves as Board Chair. Keeping active is important to Kathi. Her favorite sport is skiing and she also loves to spin, cycle, rollerblade and hike. Other of her interests are cooking, taking photos, going to photography exhibits, traveling, spending time at the beach, and engaging in volunteer activities that support Israel. Susan and her husband Michael have three children: Stefanie, who is married to Jeremy and mother of George and baby Caroline; Joey and Julia. Susan received her bachelor’s degree from the University of Arizona and has worked as a teacher and an insurance executive. 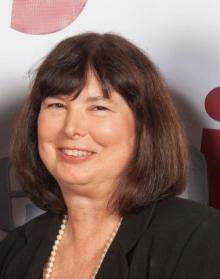 A long-time BJE Board member and officer, Susan currently chairs the Standards and Affiliations Committee that reviews the applications of schools wishing to affiliate with BJE. Other current community involvement for Susan includes participation in the Jewish Venture Philanthropy Fund (JVPF), is actively involved in AIPAC, Jewish Federation Ensuring the Jewish Future Committee, Young Israel of North Beverly Hills, Brandeis University Parents Council and Barnard College Parents Council Advisory Board. Susan was the founding chair of the Diller Teen Fellows program. Her interests include family, travel, cooking, Pilates, power walking and reading. Mark resides in Encino with his wife Penny. They have two children, Allison and Michael who were the beneficiaries of Jewish day school and high school educations having graduated from Stephen Wise Temple schools and Milken Community High School. Allison graduated from USC and currently resides in New York. Michael graduated from the University of Illinois, in Champaign and currently resides in Chicago. Mark is a CPA. 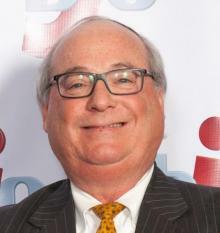 He recently retired after practicing for many years as a partner at the national CPA firm of Cohn Reznick LLP and was a founding partner of the accounting firm of Good, Swartz, Brown & Berns. Mark was President of Stephen Wise Temple and has chaired many committees, including the Endowment, Financial Oversight, Personnel, Audit, Nominating and the Building Committees. He has served on many boards including Milken Community High School, the National Board of the Union of Reform Judaism, the Pacific Southwest Regions Executive Committee, and the Hebrew Union College Board of Overseers. Mayer is a life-long Angeleno and 50-year member of Temple Beth Am. He attended Beth Am's religious school and Los Angeles Hebrew High School and holds engineering and medical degrees from UCLA. His professional focus has been computer design and consulting, both for healthcare and new media applications, and he is also a novelist specializing in science fiction and fantasy. 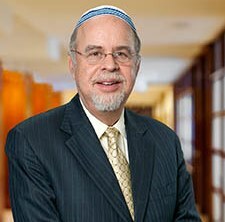 He has served on the Education Cabinet of Pressman Academy and the Temple Beth Am Board of Trustees and is the Chair of the BJE Investment Committee at BJE. Mayer and Sandy have been married for 31 years. Sandy, also a born-and-bred Angeleno, is a longtime employee of Apple in the education sales division. Mayer and Sandy have two daughters, Morrisa and Yonina. Morrisa graduated from Pressman Academy and LACES (Los Angeles Center for Enriched Studies), holds a degree in Aeronautical Engineering from MIT, and has returned to MIT for graduate work. Morrisa’s last activity before leaving again for MIT was to earn her private pilot’s license. Yonina is also a graduate of Pressman Academy and Milken Community High School and is now a student at Boston University. Born in New York to a Sephardic family, Max earned business and law degrees at the University of Southern California. He had a successful career that included co-founding Daylin, Inc., a company listed on the New York Stock Exchange, and being a principal in the Century City law firm of Candiotty and Block. Max is now retired and lives with his wife Sandy in Century City. From 1978 – 1981, Max served as Chairman of the Los Angeles Bureau of Jewish Education. The Candiotty Endowment Fund, launched by Max and Lillian Candiotty and their friends, has made it possible for thousands of children needing financial aid to enter Jewish day schools. The Candiotty Fund set the precedent for other significant Jewish community scholarship programs that have followed. Max has been a supporter of countless Jewish organizations. He is a founder of Maimonides Academy and LASHA, an organization dedicated to promoting the well-being of the elderly in the greater Los Angeles area. 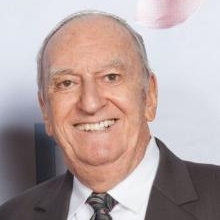 He is a past president of Sephardic Temple Tifereth Israel, a Sephardic Heritage Award honoree, and a recipient of the Israel Freedom Medal and the Prime Minister’s Medal. Max was BJE’s inaugural Gala honoree, in 1994. Ellen Cervantes brings over 40 years’ experience in the cultivating the well-being of children and families to the BJE board. As Chief Operations Officer of the Child Care Resource Center, Ellen oversees programs for strengthening families, early care and education, primarily focused on children from birth through five years of age. 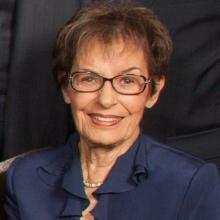 Prior to relocating to Los Angeles from Chicago in 2001, Ellen worked in Jewish communal services for 25 years. Ellen and her husband Don belong to Shomrei Torah Synagogue in West Hills, where she has served on the board for 12 years, most recently as president. She has also served as the Vice President of education, served on the Education and Ritual committees, and currently coordinates Torah reading. Rhea has been a passionate advocate for BJE over the years and is excited with the directions taken in recent years. She has held many BJE positions, including President, Vice President, member of the Budget and Investment committees, chair of BJE Gala Dinner committees, to mention just a few. Rhea lives in Beverly Hills. She has three daughters with Halz'l Coskey --Laurie Coskey, Susan Coskey, and Eileen Coskey Fracchia; five grandsons-- Marshall and Aaron Voit, Jason Fracchia, Andrew and Evan Coskey; and two step grandchildren--Jamie and Anthony. Her long time partner is Kurt Smalberg. Rhea manages several properties for her extended family and has done so for many years. She attended UC Berkeley and UCLA. Rhea has been actively involved in Temple Emanuel, serving in several Vice President positions and also as Chairwoman of the Board. 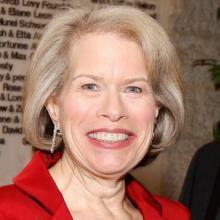 She supports the Jewish Vocational Service where she has been a Vice President and Chair of the Scholarship Committee. Rhea is a member of the Board of Overseers of Hebrew Union College and past Chair of the Zelikow School of Jewish Nonprofit Management Advisory Board. Rhea was the volunteer director of the first Victim Advocacy program at the Beverly Hills Courthouse. This program was set up to assist the victims who were called as witnesses in criminal cases, needing help to negotiate the system. Cheryl (Weisberg) Davidson lives in Sherman Oaks and is the owner of her own firm, Elle Ryan Design, specializing in homes, gardens and offices. She and her husband Bill have been married for 28 years and have two twenty-something children …Lindsey & Jake and two large dogs, Buck & Bear. Both Lindsey & Jake attended Adat Ari El Day School and Milken Community Middle and High Schools. They have been members of Adat Ari El throughout their marriage and Cheryl grew up there from the time it was VJCC. She served on the Board of Directors and the Executive Board for 16 years at Adat, on the Board of Camp Ramah and the Jordan Farmar Foundation. The Davidsons are active with AIPAC as well as USC Hillel. 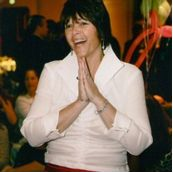 Cheryl grew up participating in BJE programs such as Havurat Noar and LA Ulpan and became a teacher and song leader for Havurat Noar as well. She was a BCIer in 1981 and returned as a staff member for two summers. Cheryl received her BA in Political Science and Economics from Mills College and an MBA and Masters in Public Policy from The Claremont Graduate School. She also furthered her design studies through the Masters in Interior Architecture Program at UCLA. 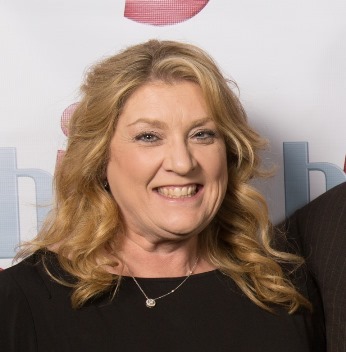 This year, Cheryl will focus her BJE Board attention on the Visibility Committee and the Gala Event. Sharon De Mayo moved to Los Angeles in 2009 with her husband, from Portland, OR by way of Rome. She had no sooner settled in a new city than she became involved with Jewish education in her community. Currently the Vice President of Education on the executive committee at Temple Isaiah, Sharon has served on numerous committees related to education in her eight years of service with the congregation. Keren and her husband, Lenny, live in Carthay Square with their two sons. Keren and Lenny met as undergraduate students at the University of Pennsylvania. Originally from a suburb of Philadelphia, Keren has lived in Los Angeles for more than 16 years. Keren and her family are members of Temple Beth Am and their children are both students at Pressman Academy. 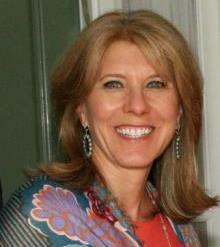 Karen serves as Board Liaison to BJE NextGen and is a member of the BJE Educational Engagement Committee. Keren also serves on the Day School Committee at Pressman Academy. 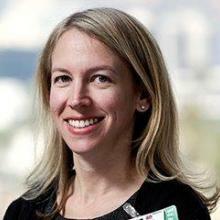 Professionally, Keren is the Manager of Research Compliance & Quality Improvement at Cedars-Sinai Medical Center. Bruce has traveled many roads. 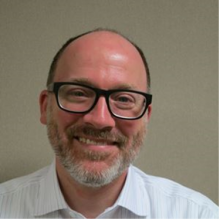 A former Wall Street executive and entertainment manager from Columbus, Ohio, Bruce has spent more than a decade as a clinical psychologist in private practice. He also advises family businesses hindered by complicated family dynamics and provides couples counseling to business partners. A graduate of Brown University, Bruce holds two advanced degrees, an MBA from Yale University and a Doctorate in Clinical Psychology from Pepperdine University. Janet and her husband Jake are both native Angelenos. They have been married for 65 years and have three children and eight grandchildren, all of whom live near the Farber home in Sherman Oaks. Janet’s oldest granddaughter is been the leader of BJE’s March of the Living program and has staffed it since 2009. Janet received her teaching credential from Cal State and taught in the Los Angeles Unified School District until her children were born. She was BJE President from 1999 – 2002, chaired the School Accreditation Committee, and along with Jake was honored at the 2013-14 BJE gala. The Farbers have been members of Adat Ari El since 1960; Janet was Sisterhood President from 1975 – 1978. She also was Campaign Chair and President of the Women’s Department of the Jewish Federation Valley Alliance, and she still serves on the Executive Committee. Both Janet and Jake are passionate about support for Israel. They have been to Israel over 50 times and were able to visit the school that was twinned with Adat Ari El as part of the Federation LA-Tel Aviv Partnership. Faith Gershbock’s involvement in BJE began as a child attending Los Angeles BJE-affiliated institutions. She went to Hebrew School and was a Bat Mitzvah at B’nai Israel Congregation, participated at Camp Ramah as a camper and staff member, graduated from Los Angeles Hebrew High School, and earned a credential in Jewish Studies at the University of Judaism. She attended Brandis Bardin Institute (BCI), worked for Shlomo Bardin as part of BCI and the weekend adult programs, and taught religious school at several BJE schools. A graduate of CSUN, Faith has master’s degrees in Gifted and Talented Education and Reading and Learning Disorders and life credentials in Multiple Subjects Pre-School, K-12, Specialist Pre-School, K-12 (Learning Disorders), and Specialist Pre-School, K-12 (Gifted and Talented). A National Board Certified Exceptional Needs Specialist/Early Childhood through Young Adulthood, Faith is a Special Education Teacher for Los Angeles Unified School District and has been part of LAUSD for over 38 years. Faith is happily married to Richard. Their sons, Aaron and Jacob, graduated from Sinai Akiba and Milken Community High School. Faith and her family are active members of Sinai Temple. Faith’s participation in BJE has included serving as chairperson of the Torah Mitzvah Program that recognized outstanding students in Jewish Studies and Mitzvah projects and membership in BJE special education task forces and other committees. Faith is a second-generation member of the BJE Board, following her mother, Betty Hamburger, who has served as a Board member for many years. Todd has been married to his wife Beth for 23 years. Their son Jake is a student at Tulane University and their daughter Emma is a freshman at Washington University. The Gindys live in Woodland Hills. Todd graduated from UCLA in Economics and has been a Certified Financial Planner with Northwestern Mutual for the past 26 years. Todd brings BJE his interest and expertise in financial oversight and feasibility as well as his experience serving on various Jewish Federation committees including the Executive Committee for the Valley Alliance, the Strategic Planning and Development Committee, and the PK – 12 Education Committee. Todd enjoys doing nothing and everything, sometimes all in the same day. His favorite spot to escape to is a private beach on Oahu, and he is a fanatic when it comes to hockey. He loves the Los Angeles Kings and was there for both games when the Kings won the Stanley Cup. He has his own bobblehead doll in a Kings uniform and he rode on the Zamboni at Staples for his 50th birthday. Herb was born in New Jersey and during high school attended the Teachers Institute of Yeshiva University, followed by UCLA and Harvard Law School. He and his wife Sharon have two children. Jonathan, married to Nancy, lives in Los Angeles; Tamar, married to Doron Kochavi, lives in Tel Aviv, Israel. The Glasers have been blessed with five grandchildren: Justine, Levi, Amit, Shir and Aerin. Herb began his career practicing law and then went on to head Glaser Development Company, engaged in development and ownership of industrial real estate. 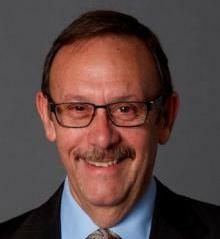 Herb has lent his support to Jewish institutions throughout Los Angeles and Israel. He founded and has chaired the Los Angeles-Tel Aviv Partnership, the Jewish Federation’s project devoted to building people to people bridges of understanding between Tel Aviv and Los Angeles through the school twinning program and other activities. 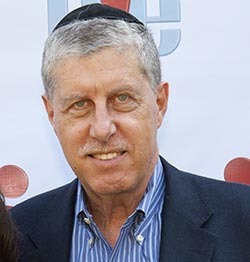 Other Los Angeles organizations in which he has taken leadership positions include Council on Jewish Life, Jewish Community Foundation, Los Angeles Jewish Federation, Hebrew Union College School of Communal Service (now The Zelikow School of Jewish Nonprofit Management) American Jewish University, Beth Jacob Congregation, and the City of Los Angeles Fire Commission. Herb’s international leadership has included serving on the boards of the Jewish Agency for Israel, Shalom Hartman Institute, and the Western Region Friends of Ben Gurion University. Herb and Sharon spend their time in Beverly Hills, Malibu, Vail, Colorado and Ramat Hasharon, Israel. In all these locales they share a zest for life and a passion for the great outdoors, skiing, photography and travel. Ilana is passionate about learning Torah and about Jewish Education. Ilana is a product of the Toronto Day School system. 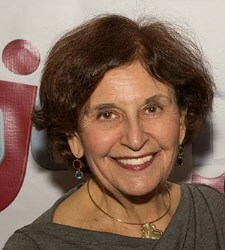 After attending Brovender’s in Jerusalem, she earned her Bachelor of Arts, Bachelor of Education, and Advanced Certificate in Hebrew and Jewish Studies at York University in Toronto. Ilana completed her Juris Doctor in Los Angeles after marrying her husband, Gil. Ilana was an extern in both the California Court of Appeals and U.S. District Court (Central District). She also taught Constitutional Law classes in a public high school. 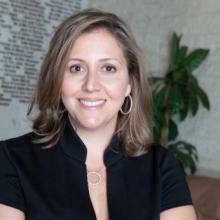 Ilana practiced Family Law for several years in Los Angeles and is a member of the California and New York State Bars. She enjoys being a member of the Jewish Women’s Repertory Company. Gil and Ilana are active at Young Israel of Century City and have three children who attend Maimonides Academy. Ilana focused her teacher training in Jewish middle schools. She has guest lectured for the B’nei Akiva Bat Mitzvah program. She has also guest taught periodically each year at Maimonides Academy in classes ranging from 4th-8th grade, since 2013, on topics in Tanach and Jewish Holidays, and has taught full units on Zionism. Ilana has actively sought to improve the use of Hebrew language by elementary school students and teachers. She also will be assisting with classes for the Chidon HaTanach. Rachel and her husband, Don, live in Los Angeles and are members of Temple Beth Am. Her two adult children attended Pressman Academy and spent summers at Camp Ramah in Los Angeles as campers and then counselors. A third generation Coloradoan on her mother’s side, her great grandparents came over before the first pogroms in Russia and settled in Detroit, Michigan. Her grandfather and grandmother-in-laws were one of the first Jewish settlers in Colorado, at Cotopaxi. Dr. Gordon graduated with honors from University of Colorado Medical School, where she was elected to Alpha Omega Alpha Honor Society. Following her diagnostic radiology residency at Cedars-Sinai Medical Center, Dr. Gordon completed a two-year fellowship in Neuroradiology at the Mallinckrodt Institute of Radiology at Washington University in St. Louis. She obtained her Certificate of Added Qualification in Neuroradiology from the American Board of Radiology and is a senior member of the American Society of Neuroradiology. She has been practicing neuroradiology in Los Angeles since. A resident of Los Angeles for most of her adult life, Marjorie is married to Robert, a physician and is the mother of their two daughters — Allie, a journalist currently based in Detroit and Caroline, a fourth year medical student at UCLA. Marjorie is a former department store executive who does consulting in the areas of retailing, advertising and market research. She devotes much of her time to causes that celebrate and strengthen issues of Jewish identity and education. A longtime community volunteer, she has served on the boards of many local and national not for profit organizations, as well as having leadership roles in the capital campaigns of several schools and universities that she or members of her family attended. Marjorie’s involvement with BJE came as a direct result of her life changing participation in the first adult Los Angeles March of the Living program in 2012. In addition to BJE, she is actively involved with the National Leadership Council of AJC, the mentorship program at the Zelikow School of Non Profit Management at HUC and Birthright Israel. She and Bob and are longtime members of Stephen S. Wise Temple, and in addition to enjoying time with her family and friends, her most favorite pastimes include travel, hiking, entertaining and reading. Simona, a native of New York, completed a PhD degree in economics and has worked as an economist doing litigation consulting. She also has worked for a marketing analytics company. She and her husband Steven, an attorney, have three children. The family is affiliated with Young Israel of Century City and Beth Jacob congregations and their children attend Harkham Hillel Hebrew Academy. 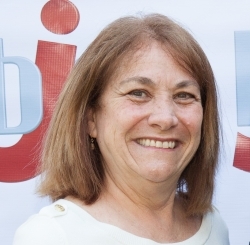 Eileen brings her experience as the current DeLeT Education Director at Hebrew Union College and former Head of School of Temple Israel of Hollywood to her involvement with BJE. 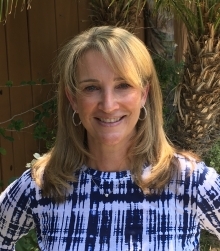 She is a member of the Committee on Jewish Educational Engagement, a winner of the Milken Jewish Educator award, former chair of BJE’s Day School Principals’ Council, and a member of the BJE committee that hired the very first JKidLA concierge. Eileen and her husband Steven, married for forty-eight years, live in Sherman Oaks. They have been blessed with two children and ten grandchildren. Eileen is involved with her son, Rabbi Dovid Horowitz’ shul, Makor HaChaim in Encino. Spending time with her grandchildren is the highlight of every week for Eileen. Chuck and his wife of more than 50 years, Renee, have three children and seven grandchildren. Their daughter, Deborah, is an artist and art teacher; son Matthew is a CPA and royalty auditor; and son Daniel is a history professor at Hunter College in New York City. Chuck was born In Massachusetts and moved to Santa Barbara, California when he was in high school. While he lived in Massachusetts, he studied the piano and gave some concerts with his mother, who was an opera singer. Although he considered a career as a pianist, he ultimately decided to become a lawyer. Chuck found a way to combine his love of music with the law by practicing entertainment law. 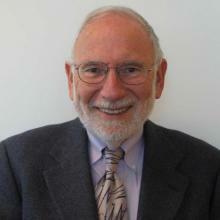 He attended Dartmouth College and Stanford Law School. In addition to serving as BJE President from 1994 – 1997, Chuck has served and continues to serve a broad spectrum of community service organizations. He has been a Commissioner and Chair of the Los Angeles County Commission for Children and Families; Commissioner of the Los Angeles County First 5 LA Commission (formerly Proposition 10 Commission). He has also held leadership positions in a number of other Jewish organizations. Chuck continues to practice entertainment law and enjoys the work very much as he has the pleasure of working with many talented people in entertainment. He also feels good about his work with community organizations. But most of all, his life has been enriched by his wife, their children and grandchildren. Miriam and her husband Jonathan, residents of Valley Village, have four sons and two granddaughters. Miriam graduated from UCLA with a BS in mechanical engineering. She works with her husband in their home healthcare agency, Libertana, providing a variety of medical and non-medical services to clients in their own homes. 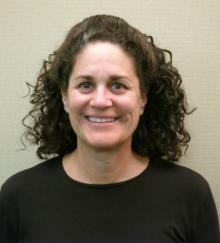 Miriam’s community involvement includes Shaarey Zedek, Valley Torah High School, Yeshiva Ketana L.A., and Etta Israel. Her interests range from yoga to spending time with her granddaughters. 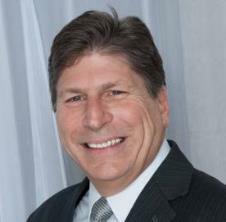 Mark works in real estate development and investments. He and his wife Ellie have three children: Lisa Lainer Fagan who is married to Brian and has 3 children; Jeff who is married to Lynne and has 2 children; and Steven. Mark is a graduate of UCLA and Harvard Law School. Mark is a passionate advocate for the importance of Jewish education as can be seen in his many years of active leadership of local and national organizations. He is founding president of Abraham Joshua Heschel Day School, a founder of de Toledo High School (formerly New Community Jewish High School), and a leader in building endowments for Los Angeles Jewish day schools, having help establish the Simha and Sara Lainer Day School Endowment fund that has enrolled 21 day schools to date. In addition to serving as BJE President, Mark is a past chair of the Cal State Northridge Jewish Studies Program, the Board of Directors of Hillel 818, the Ziegler School of Rabbinic Studies at American Jewish University, and the Jewish Education Service of North America (JESNA). Mark has also been Chair of the Los Angeles Jewish Community Foundation and served as an officer in the Los Angeles Jewish Federation, Valley Beth Shalom, and the Jewish Federations of North America. His community service includes as a director of the United Way, North Angeles Region, and representing the City of Los Angeles as a Director of the Metropolitan Water District of Southern California. Mark’s remarkable service has been recognized by the many organizations that have honored him, including Alpha Epsilon Pi Fraternity, JESNA, Los Angeles Jewish Community Foundation, Heschel Day School, Ilan Ramon Day School, Los Angeles Hillel Council and BJE. Lisa and her husband, Brian Fagan, live in the San Fernando Valley and are members of Valley Beth Shalom synagogue. They have three children who currently attend de Toledo High School and previously attended Abraham Joshua Heschel Day School. Lisa has held various leadership roles at both schools and has been actively involved with the Jewish Federation, BJE and Netiya. She is thrilled that her children enthusiastically attend Camp Ramah where she spent many summers during her youth. Lisa is a founding board member of the David Labkovski Project which educates students of all ages about Jewish history and the Holocaust through the artwork of David Labkovski, a Lithuanian Jewish artist who survived WWII as a prisoner in Siberia. Lisa is a graduate of the Wexner Heritage Program. She was a math major at the University of Pennsylvania, studied for a year at the Hebrew University of Jerusalem, and received her MBA at UCLA. She is the CFO of her husband Brian’s real estate investment business. 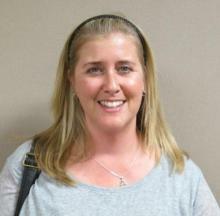 Lisa is passionate about genealogy and enjoys sharing her discoveries with others. She gives lectures about her family history research and is a Boy Scout merit badge counselor for genealogy. She also loves travel, reading, Broadway musicals, and studying Israeli literature. 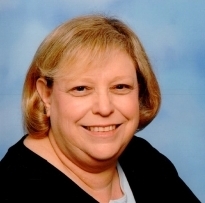 Jill has served as a BJE Vice President, chair of the Library Committee, member of the Special Education and Early Childhood Committees, and is Chair of the Jewish Educational Engagement committee. She has been married for 46 years and both her son and daughter are Jewish educators. A resident of Valley Village, she is a past President of Adat Ari El. Jill has a secondary school teaching credential and currently is Operations / Admissions Coordinator at Los Encinos School. When she is not working, Jill loves spending time with her family, traveling, movies, books and the beach. Jill brings her involvement at Pressman Academy and with the Social Action Committee at Camp Ramah to her work as a BJE Board member. She has a BA degree from Tufts University, a Masters in Education Administration from Univeristy of Pennsylvania and a Masters in Social Work from Bryn Mawr. She is married with three children—Maia, Joshua, and Jacob —and lives in Beverlywood. She enjoys spending time with her family, photography, crafting, traveling and reading. Aaron Leibovic is a lawyer from Brooklyn, NY and has been a member of the Los Angeles Jewish community since his family joined Sinai Temple, in 1987. A resident of Brentwood, Aaron has served on the boards of Milken Community Schools, The Alice and Nahum Lainer School, Sinai Temple, and the Ziegler Rabbinical School at American Jewish University. Having sent all three of his children through Los Angeles Jewish day schools, Aaron is thrilled at the opportunity to serve on the BJE board and help Jewish day schools survive and thrive into the future. Amy grew up in upstate New York. She graduated from Emory University and then moved to Connecticut where she spent 3 years at GE Capital. Amy met her husband Ira and moved to Los Angeles in 1991. She currently lives in Encino where her family is affiliated with Makor HaChaim and Chabad of Encino. She and her husband have five children. Amy is very actively involved in all of her kids’ schools. She has served on the boards of Emek Hebrew Academy and Valley Torah and she has been the co-president of the Emek PTA for 12 years. Elaine, a native Los Angeleno, attended religious school and was confirmed at the Wilshire Boulevard Temple. She was part of the first group of campers at Camp Hess Kramer and spent many happy summers there, first as a camper and later as a counselor. After graduating from Los Angeles High, Elaine attended Stanford University where she majored in English. She received a teaching credential at UCLA and taught in the Los Angeles Unified School District until her children, Susan and David, were born. Later she returned to UCLA to receive a doctorate in research methods and evaluation. Introduced to her husband Richard by her aunt, she has been happily married since 1963. Elaine’s involvement with BJE began when she was asked to assist with an evaluation of the educational services offered by the agency. That led to membership on BJE committees, leadership of several taskforces, and various officer positions, culminating in the Board Presidency for the term 2005 – 2008. She is an active member of Sephardic Temple Tifereth Israel, as were her parents and grandparents, all descendants of Jews who settled in the Ottoman Empire after the Jewish expulsion from Spain. Elaine is an Advisory Board Member of the UCLA Alan D. Leve Center for Jewish Studies, and a member and past president of the Maurice Amado Foundation, founded by her great uncle. Her passions include being with her granddaughter, traveling the world with her husband and friends, and keeping in touch with the foreign exchange students from Turkey, Germany, Austria, France, Hungary, Norway and Russia that the Lindheims have hosted over the years. 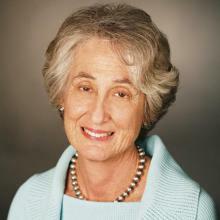 Linda Goldenberg Mayman, a past BJE President (1991-9994), has been an active member of the BJE board for well over three decades. A native of Los Angeles, Linda earned a B.A. at UCLA and a J.D. at the UCLA School of Law. 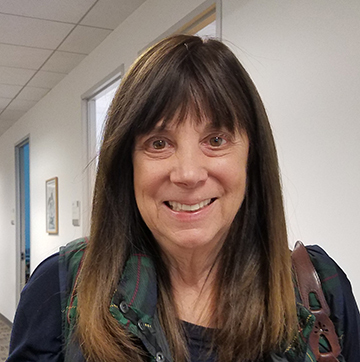 Married to Robert Mayman, also an attorney, Linda is the mother of four adult children, all of whom were educated at BJE-accredited schools; she and Bob have grandchildren in Los Angeles and Israel. From strategic planning, to financial resource development, from drafting by-laws to pioneering BJE’s involvement in school accreditation, there is no aspect of BJE’s work in which Linda has not been involved. 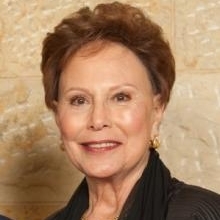 Her volunteer activities outside BJE have included facilitation of intra-religious dialogues through the Council on Jewish Life (formerly, an activity center within the Jewish Federation) and serving on the Federation Board and Executive Committee and as President of The Westwood Village Synagogue, of which she is a founding member. Linda also worked with L.A.’s Hillel Council to organize programs for high school students to encourage teens to include opportunities for Jewish engagement in their college search process. Linda’s dedication to BJE reflects her strong sense that the education of children is essential to the future of the Jewish community. Linda was honored by BJE for her decades of service at the 2003 Annual Gala. When she is not busy with her family, BJE or other volunteer pursuits, Linda enjoys cooking, reading and walks on the beach. Adrian and her husband Larry have three children: Daniel is married and the father of their first grandchild, Julia; Felicia is married to Zach Andrews; and Madeline. The Millers have been Beverly Hills residents for 30 years. Adrian graduated from UCLA. Professionally she has been a department store buyer and most recently, in the pharmaceutical industry. She is currently co-chair of the BJE Financial Resource Development Committee, working very successfully to raise the funds necessary to carry out BJE programs and activities. Adrian and Larry are recent participants in the amazing BJE 2016’s Adult March of the Living trip. Sheilah’s experiences in Jewish education are varied. She is a former librarian and retired B’nai Mitzvah tutor and mentor, having taught at Temple Isaiah and Stephen Wise Temple. Her volunteer experiences in the Jewish community include chairing several Women’s Divisions of the United Jewish Fund, serving on the Women’s Philanthropy Cabinet for the Jewish Federation, and acting as overall co-chair of Super Sunday from 2012 through 2014. She and her husband Donald, a physician, are affiliated with Beth Jacob Congregation and Stephen Wise Temple. Their grandchildren attend Brawerman Day School and Harkham Hillel Hebrew Academy preschool. Sheilah’s passions are being a hands-on Savta for her four grandchildren and sustaining a commitment to TorahTrust: A Child’s Gift Registry for Jewish Education. The mission of this initiative is two part: (1) to encourage families to establish a savings account for their children funded with gifts that contribute to a child’s Jewish education, and (2) to encourage Jewish educational institutions to give discounts and/or added value to families who pay using their TorahTrust accounts. A native of suburban Philadelphia, Donna attended public schools supplemented by Hebrew School. She received her BA in Psychology from the University of Pennsylvania and her J.D. from Northwestern University School of Law, where she met her husband, Paul, a fellow law student and Southern California native. After graduating from law school in 1985, Donna joined Paul in Los Angeles. They have lived in Santa Monica for 20 years where they have raised their three children: Sean, Alison, and Jesse. 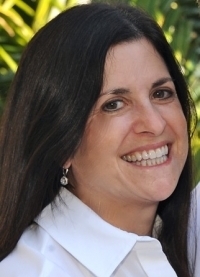 Following more than two decades devoting her time to her family and to volunteerism, Donna is now Executive Chief of Staff at Wilshire Boulevard Temple where she and her family have been members for 17 years and where her children received their Jewish education. BJE has benefitted from Donna’s leadership, which has included chairing the Youth Programs Committee, the Educational Services Committee, and the Board Member Education and Engagement Committee, and serving on the Strategic Planning Committee. She finds particular importance in BJE’s work and values the breadth and depth of BJE's impact on Jewish education in Los Angeles and nationally. David is married, has five children and lives in Beverly Hills. A graduate of Stanford University and Yale Law School, he is a past president of B’nai David Judea and a past board member of Shalhevet High School. His professional field is copyright, about which he writes extensively. 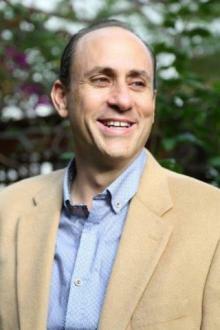 In addition to covering the secular angle in such books as Nimmer on Copyright and Copyright: Sacred Text, Technology, and the DMCA, he has published articles of Jewish import on the subject, such as Rabbi Banet’s Charming Snake, HAKIRAH (2009), and In the Shadow of the Emperor: The Hatam Sofer’s Copyright Rulings, TORAH U-MADDA JOURNAL (2010). Mel resides in Santa Monica with his wife Susan. He has five children and six grandchildren. His three older children are married; his younger daughter graduated from the University of Oregon and his younger son attends Indiana University. Both his younger children attended Stephen S. Wise schools from Pre-K through high school. Mel has a BA from UCLA, a CPA License (inactive) and a Real Estate Broker License. He is the founder of KLS Financial, a real estate company owning and managing approximately 1,000 units in the Los Angeles area. Mel was a Vice President of Stephen S. Wise for approximately 10 years and has served on and chaired various temple and school committees. He continues to serve on the temple’s Financial Oversight Committee. He has been a BJE Board member since 2012. Mel is Chair of the Audit Committee and serves on the Finance and Governance Committee and the Investment Committee. He is an active supporter of the Jewish Big Brothers, AIPAC, American Jewish Committee, Camp Newman and the Harmony Group, as well as other charitable organizations. A native Californian, born in Santa Barbara, Linda lives with her husband Jeffrey in Los Angeles. The Resnicks have four adult children. Their grandson Zev, and their granddaughter Avi, attend Heschel Day School. Linda was an elementary school teacher for six years in the Los Angeles Unified School District. For the past 20 years she has worked as a full time Studio Teacher, primarily on long running television series, teaching both Secondary and Elementary students. Linda’s interest in education extends beyond the entertainment industry to various leadership roles that she has taken within the community. She has served as chair of the BJE Early Childhood Committee and has been an active board member of the Stephen S. Wise Temple Parent School Boards and the Brentwood School Parent Board. Currently she is serving as a board member of the International Alliance of Stage and Theatrical Employees (IATSE) Local #884. 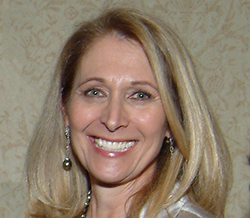 Nurit, an attorney, is actively involved in Jewish education in Los Angeles, having served on the Jewish Federation’s Ensuring the Jewish Future Committee and currently on the BJE (Builders of Jewish Education) Executive Committee. 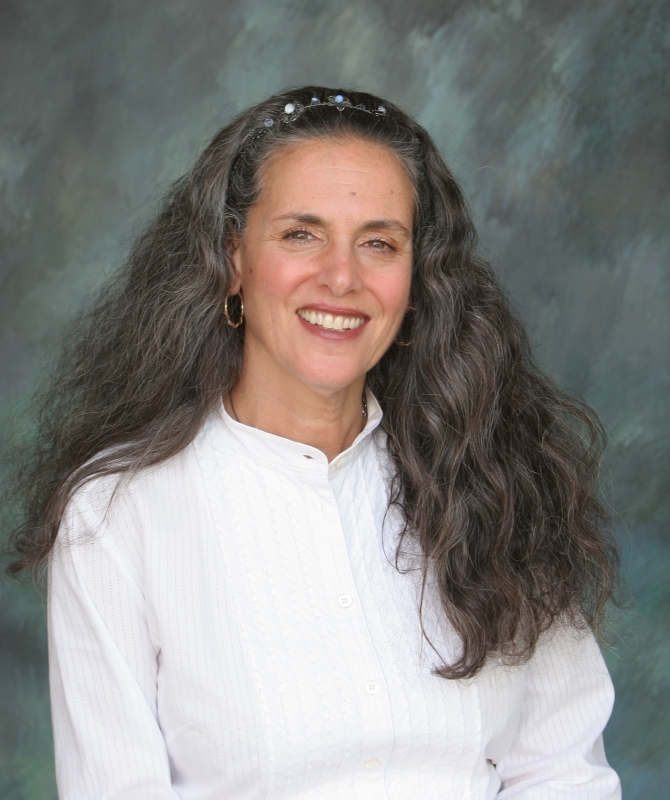 Nurit was also a member of the Valley Beth Shalom Day School Board of Trustees and the Chair of the VBS Day School Endowment. She currently serves on the Valley Beth Shalom Synagogue Board of Directors. A graduate of Syracuse University with a Bachelor of Arts in International Relations and Journalism, Nurit received her Juris Doctorate from Southwestern University School of Law, where she was a member of the Law Review. She is also a graduate of the Wexner Heritage Foundation Program and is actively involved in several non-profit organizations. Nurit and her husband Richard are devoted to strengthening Jewish education in Los Angeles. The Robins have three daughters, all currently students at Milken Community High School. Marc, a native of Los Angeles, initially attended Hillel Hebrew Academy but switched to the public school system in the fourth grade. He is a graduate of the Beth Am Talmud Torah and Los Angeles Hebrew High. After spending his 10th grade in Israel, Marc became active in NCSY and served as its regional president. His all-time favorite job was head counselor at Camp NCSY for the four years of the camp’s existence on the West Coast. He still wishes that he could return to camp as a “camp lawyer;” however the demand has not been great. 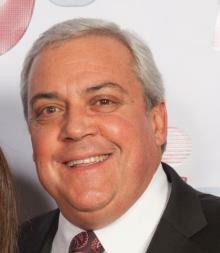 Marc, a trial lawyer and mediator, is married to Lynn, an English teacher at Hillel and Maimonides. They have three daughters and three grandchildren. Adena is a celebrity stylist; Danielle is a teacher at Pressman Academy, and Tamar, who made aliyah, teaches English on the Israeli air force base where she lives. After his family, Marc’s first love is Beth Jacob. He served as its president for four years and has remained very active in the congregation, most recently chairing the rabbinic search committee. Marc presents workshops to synagogue executives on a variety of topics and has volunteered to mediate internal synagogue disputes. 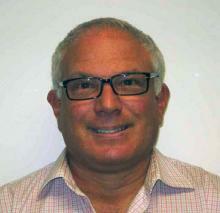 A member of the Jewish Federation Board, Marc chairs the Synagogue Engagement Committee. Marc is also a member of AIPAC’s National Council. Marc’s initial involvement with BJE was the Personnel and Teen Programing committees, followed by chairing the Strategic Planning Committee and serving as president from 2008-2011. His passions are traveling, spending time with his grandchildren and, regrettably, TV watching. Marc aspires to spend three months a year in Israel to study in a yeshiva for adults with no classic yeshiva background. Craig was born in Palo Alto, California; received a B.A. in Political Science and English from the University of Pennsylvania; and a J.D. from UCLA School of Law. 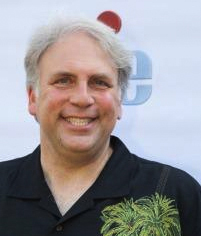 At UCLA, Craig was Editor-in-Chief of the UCLA Entertainment Law Review. A partner in the Los Angeles office of the Manatt law firm, Craig’s practice focuses on complex civil litigation matters primarily involving the health care and real estate industries. His wife Stephanie is a CPA. Craig and Stephanie are affiliated with the Wilshire Boulevard Temple where their son, Jonah, attends Brawerman Elementary School. Craig has participated in Federation committees reviewing grant applications for summer camps and March of the Living. He is a member of the Federation Legal Division and has served on the Associates Advisory Board of the Los Angeles Legal Aid Foundation. Jay and his family live in Los Angeles. Together with his wife, they have supported many important Jewish causes. Jay brings to the BJE Board his experience as chairman of a local Jewish day school, executive and board leadership at a synagogue and has participated on various committees including budget, endowment, leadership searches, strategic planning and capital campaign fundraising. Nancy and her husband Jay, residents of Encino, have two sons, Michael and Daniel, both of whom attend Milken Community High School. 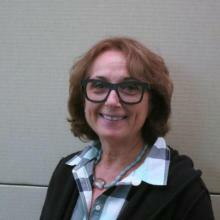 Nancy is a docent at Milken and also serves on the Principal’s Advisory Committee. With a bachelor’s degree in Business from Loyola Marymount University and a Juris Doctorate from Loyola Law School, Nancy was a defense litigator for State Farm Insurance Companies for 15 years. Nancy has been involved in a variety of BJE activities. She co-chaired an Annual Gala, served on the Board Nominating Committee and currently serves on the BJE Visibility Committee. She also has served on various committees at Valley Beth Shalom Temple. She loves to needlepoint, read, cook and watch her sons play sports. Liz and her husband Mitchell live in Hancock Park. They have two teenage boys and a younger daughter. Their children either attend or graduated from Temple Israel of Hollywood Day School. Liz is very involved in the school and also in fundraising for the Temple. 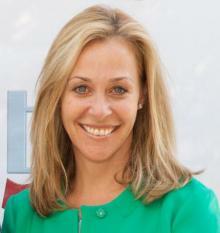 Liz is a graduate of the University of Michigan and has a background in the field of political advertising. She was the able and enthusiastic Co-Chair of the BJE Educational Engagement Committee and now is Co-Chair of the BJE Visibility Committee. Her service as a BJE officer includes Parliamentarian and now Vice President. Liz hates to drive but does it four hours a day as she is the mom of busy kids. She also loves to cook when she isn’t behind the wheel of her car. Steve resides in Northridge with his wife Gail, a teacher at Abraham Joshua Heschel Day School. Their children, Josh and Lauren Shapiro (grandson Elijah), and Alisa and Jonathan Foreman (granddaughters Molly and Zoe), all reside in Los Angeles. Josh and Alisa were beneficiaries of a Jewish day school education and Steve and Gail look forward to their grandchildren starting their Jewish day school education in the next few years. 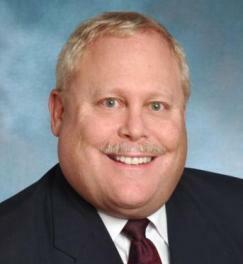 Steve is an attorney and practices Family Law in Encino, California. 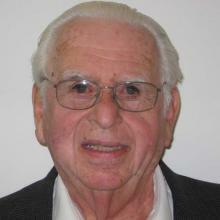 He is a past president of the Abraham Joshua Heschel Day School Board of Directors. Steve and Gail have been members of Valley Beth Shalom for over 40 years. Steve has been a BJE board member for over 20 years and has served as Treasurer and Vice President and has chaired the Budget and Planning, Audit, Strategic Planning, Personnel Practices, and Fiscal Review and Governance committees. Steve is a political junkie. He also enjoys traveling and especially enjoys taking his children and now grandchildren on family vacations. Bennett is a partner in the Business Retructuring and Reorganization practice at the Jones Day law firm. A graduate of Rutgers University, Yale School of Management, and Yale Law School, Bennett lives in Encino with his wife, Lise, a former conservatory and Yale-educated classical musician who is a psychologist in private practice and a teacher of psychology at De Toledo High School (formerly New Community Jewish High School). They have three children: Zachary, an actor who lives in Manhattan; Melanie, a graduate of USC with a Master's of Science in Applied Psychology, and Stephanie, who recently graduated with a double major in biochemistry and dance at Muhlenberg College in Allentown, Pennsylvania, and is now planning to seek her Doctorate in Physical Therapy. Bennett has served as a BJE Board member for 16 years and as a member of the Executive Committee for 8 years. He served as Chair of the Personnel Practices Committee and also chaired numerous panels resolving disputes between professionals and schools under the former BJE Code of Personnel Practices. He currently is serving as BJE Treasurer. Bennett’s other community commitments are many. He has served as President, First Vice President and Chairman of the Board, Vice President of Education, and Vice President of Religious Affairs at Adat Ari El. He is a member of the Advisory Board of the Ziegler Rabbinical School and the Board of Directors of Bet Tzedek Legal Services. Bennett enjoys international travel, visiting American national parks, and the theater. Marci and her husband Andrew reside in Beverlywood and have four children. With an MBA in Marketing, Marci’s career path included working with food companies on packaging and transportation decisions. But most of her time is devoted to her children, and philanthropic efforts in Los Angeles and Israel. 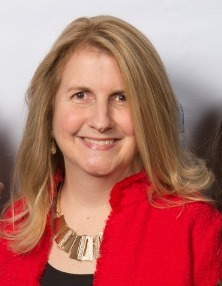 Marci co-chairs the BJE Visibility Committee (with Liz Rosman Schwartz) and serves on the Board Member Education and Engagement and Financial Resource Development committees. She has held leadership positions on several boards, including Shalhevet and Friends of the Israel Defense Forces. 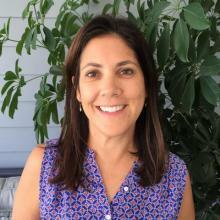 Marci moves to Ojai to teach the cooking elective at Camp Ramah every summer. Alan lives in West LA together with his wife, Sheila who is recent past co-chair of BJE’s FRD Committee. They are the proud parents of daughter, Sarah (married to Josh) one of the inaugural members of the BJE NextGen Committee, and son, Aaron (married to Alissa), who is Co-chair of BJE’s NextGen Committee. Alan and his wife Sheila are the proud grandparents of Emma, Ava and Asher. After completing his Ph.D in Clinical Psychology, Alan became Manager of the family’s Southwestern Bag Company which he continues to lead. Alan has held leadership roles in numerous community organizations, including Jewish Federation, Jewish Free Loan and Temple Beth Am. Together with Sheila, they have a strong interest in special education and have joined numerous BJE March of the Living trips, with both teens and adults. When they have time, Alan and Sheila enjoy walks on the beach and bike riding, along with their faithful dog. Sheila and her husband Alan, recent past BJE President, live in Los Angeles. They have two children—Aaron (married to Alissa) and Sarah (married to Josh) — and three grandchildren - Emma, Ava and Asher. Sheila was very involved in her children’s education at Sinai Akiba Academy, Pressman Academy, and Shalhevet High School. 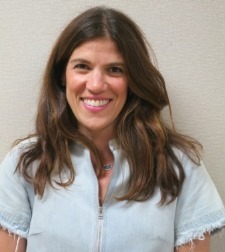 She has served on the boards of the Jewish Community Foundation of Los Angeles, Temple Beth Am, Camp Ramah, Jewish Family Service and the Diller Advisory Board of the Jewish Federation. Sheila is a BJE officer and has chaired various BJE committees, including the Financial Resource Development and the Committee on School Accreditation. Sheila and Alan participated in BJE’s first adult March of the Living, followed by a second trip, and through their generosity have made it possible for more teens to share in this life-changing program. The Spiwaks have championed efforts to increase Jewish educational opportunities for children with special needs. And the Spiwaks and the Baran family have supported the BJE mission by providing student scholarships enabling students from low and middle-class families to attend Jewish day schools and participate in Jewish programs. Jay brings to the BJE Board of Directors the experiences and vantage points of the several “hats” he has worn: Jewish educator for eight years; camper and counselor at Camp Ramah in Wisconsin; synagogue board member; JFS officer and Board Member; and, parent of two children presently enrolled in complementary Jewish education. In secular life, Jay is a business and real estate lawyer with expertise in business planning, operations, finance, and negotiations. Prior to relocating to California, Jay served as an elected City Councilman in Illinois. Jay also has had sideline activities in broadcast and print media and in freelance writing. Jay started his work with BJE in 2012, as a member of the Task Force on Complementary Jewish Education, and has been a member of the Board of Directors since 2013. As “Jewish continuity” is an important focus of Jay’s efforts, marketing BJE’s activities and strategic planning are areas of particular interest in his service to BJE and the Jewish community. A California native, Tammy lives in Encino with her husband David and their four children: Ian, Colin, Evelyn and Fynn. Ian, the oldest, graduated from Valley Beth Shalom Day School and now attends Viewpoint School. The other three children are all at VBS Day School. As Vice President of Education for Valley Beth Shalom, Tammy is a member of the Temple Executive Board. 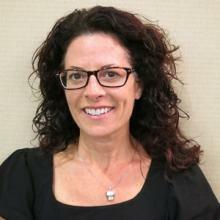 She is also active in the Women’s Division of the Los Angeles Jewish Federation Valley Alliance. Professionally Tammy is a Property Manager and her husband an IT Director. Tammy brings the BJE Board her experience in donor relations and event planning as well as her leadership role in her Temple’s educational activities. Ben was born and raised in Los Angeles. He now lives in Hancock Park with his wife, Rachel Andres, and his two children, Ezra and Rebecca, both graduates of Temple Israel of Hollywood Day School. Ben has been an active participant in many civic organizations. He has served on the boards of Planned Parenthood Los Angeles, Hillside Memorial Park and the Jewish Federation of Los Angeles (founding and chairing its Access Young Leadership Program). He was a big brother in the Jewish Big Brothers Program and was involved in UCLA Alumni Affairs. 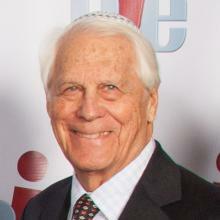 He is an active member of Temple Israel of Hollywood and its day school, where he served on the Education Committee. He presently chairs the Finance and Governance Overview Committee of BJE. Ben majored in economics at UCLA and then attended the University of Pennsylvania’s Wharton School of Business, where he earned his MBA. He returned to Los Angeles and started his own consulting firm, focusing on health care operations, systems and strategy. He consults to large health care organizations including Blue Shield of California, Kaiser Permanente, Delta Dental, LA Care and WellPoint/Anthem. He loves to cook, travel, read and is an avid genealogist. 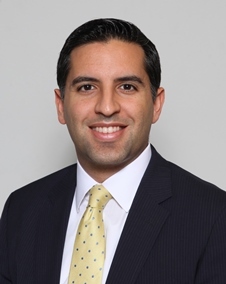 Sam Yebri is a partner at Merino Yebri LLP, a general practice business law firm in Los Angeles specializing in litigation, real estate, and employment law. 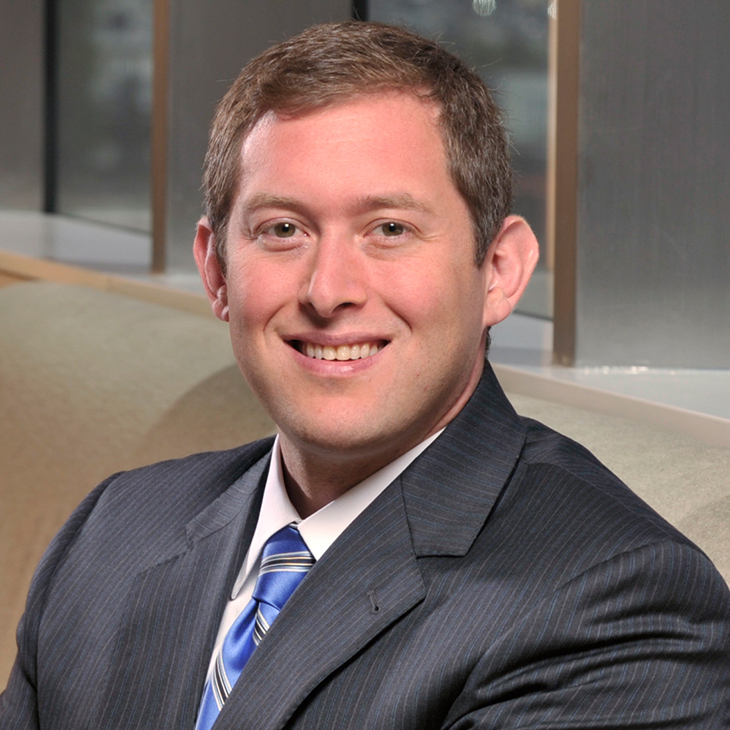 An experienced litigator, Sam counsels a broad spectrum of media, technology, and real estate companies. 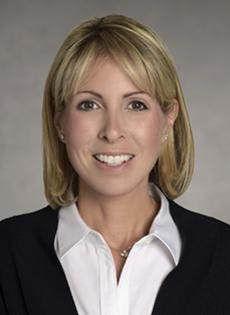 Prior to founding Merino Yebri LLP, Sam served as a law clerk for federal judge Hon. A. Howard Matz, and worked at two national law firms, Jones Day and Proskauer Rose. 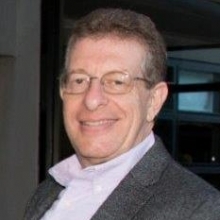 In 2007, Sam co-founded 30 Years After, a grassroots civic organization that has engaged thousands of Iranian-American Jews in American civic and Jewish life. In addition to BJE, Sam currently serves on the Board of Directors of the Jewish Community Foundation, Bet Tzedek Legal Services, and ETTA. Sam has also held leadership positions with the Jewish Federation, AIPAC, Bend the Arc (formerly the Progressive Jewish Alliance), the Anti-Defamation League, and both USC and UCLA Hillel. He is also a graduate of the Wexner Heritage Program. In October 2010, then Los Angeles Mayor Antonio Villaraigosa appointed Sam to the Board of Civil Service Commissioners, a position he held until May 2014. In 2013, Sam served on the Transition Team and Gun Violence Prevention Task Force for Los Angeles City Attorney Mike Feuer. At the age of one, Sam and his family fled Iran as refugees to the United States. He graduated from Yale University with a bachelor’s degree in political science, and received his law degree from the USC School of Law. Sam and his wife reside in Westwood with their three children. Parham is extremely passionate about support for Israel, and for Jewish causes. 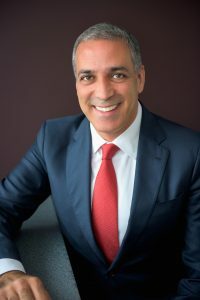 He is currently the board president of Friends of Sheba Medical Center, Tel Hashomer and serves on the advisory board of the Diller Fellowship Program. Shoshana and Parham are recent participants in the BJE’s 2016 Adult March of the Living trip. A graduate of UCLA and Whittier College School of Law, he is the managing director of Egg Donor and Surrogacy Institute, where he has become an expert resource and advocate for Surrogacy, Egg Donation, and Third Party Reproduction. Parham and his wife Shoshana have three sons, Mateen, Kian and Nikou. All three boys have attended Jewish day schools.